Nothing says delicious quite like a sweet, juicy watermelon. The thought of one for many people brings back memories of summer picnics where you could bite into the bright, mouthwatering flesh of this thirst-quenching treat. A popular fruit enjoyed around the world, the watermelon provides nutrients to those who eat it. Important as a food staple worldwide, it found its ways to different regions around the globe. Looking into the history of the watermelon, we can trace its origins to where it first grew and found a way into our diets. The watermelon grows on vines on the ground. A member of the Cucurbitaceae family, the watermelon shares a relationship with cantaloupe, squash and pumpkin. Some varieties of watermelon come with a variety of rind and flesh colors. The inside flesh of the popular varieties are red or yellow. 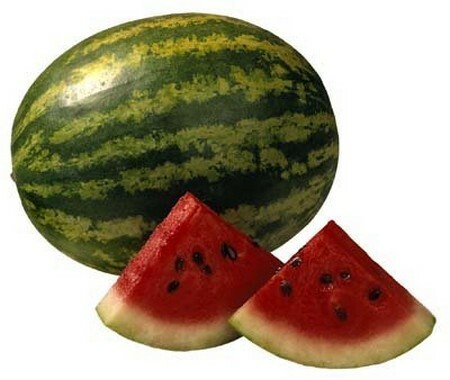 Round, oblong or spherical in shape, the watermelon grows in many different shapes. The thick rind of the plant sports spotted, striped and solid green colors. Thought to be the ancestor of the original watermelon, the white-skinned citron first grew in the Kalahari Desert of Africa. Egyptians recorded the earliest harvest of them 5000 years ago. Important to the culture of the Egyptians, watermelons were depicted in hieroglyphics that adorned the ancient walls of their structures. They buried the fruit in the tombs of their kings because they believed it nourished them in the afterlife. Watermelons later spread by merchant ships to other countries as they traveled to conduct their business. The plants flourished along the Mediterranean Sea, and by the 10th century they made their way to China. Later in the 13th century the Moors helped spread the watermelon throughout Europe. The watermelon may have made its way to the United States during the African slavery trade via slaves carrying the seeds on the ships. 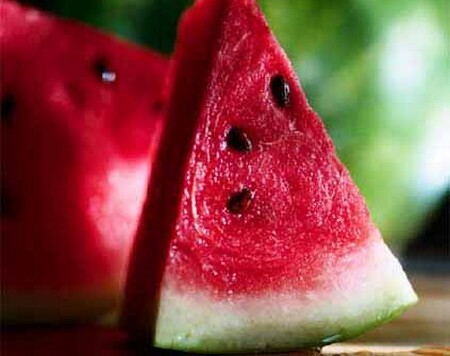 The word watermelon made its first debut in the English Dictionary in 1615. There are five states that currently lead watermelon production in the U.S: Florida, Texas, California, Georgia and Arizona. The United States ranks as number four in worldwide production of watermelon. China holds the number one spot. Watermelons come in 1200 different varieties. Recent cultivations led to development of several desirable characteristics of the fruit, including seedless varieties and ones with thin rinds. Importation and exportation of the watermelon allows for enjoyment of it all year. 96 countries grow watermelons globally. Considered a polite gesture, the Chinese and Japanese often give watermelons to the host when they visit. Israelis and Egyptians enjoy salads made with sweet watermelon and salty feta cheese. Watermelon has a 92% water composition. The first cookbook published in the United States included a recipe for watermelon rind pickles. The largest watermelon ever grown weighed in at 268.8 pounds. Watermelon contains plenty of vitamins A, B6 and C.
You can eat every part of a watermelon, including the seeds and rinds.